Friendly and knowledgeable. Thank you Alfie for your help! Alfie was extremely knowledgeable about how ants get in the house. He told me they were odorous ants and how bad they smell when you crush them. He advised me to get the cracks in my grout fixed and treated all the ants. I have had over the past several years! Alfie did a very thorough inspection both inside and outside of the home. He was very knowledgeable and made several useful suggestions and observations. Alfred “Alfie,” a Tuckerton resident, started with Cowleys just after the start of 2019. He wanted a new set of opportunities for a new year, and for him, Cowleys was the perfect fit. Alfie has joined us as an experienced pest control technician with eight years of solid field experience under his belt. He is not only experienced in treating termites and other pests, but he is also knowledgeable in all aspects of nuisance wildlife. It is a rare find for a pest control technician to have such diverse experience, and Alfie has already proven himself to be a valuable addition to the Cowleys team. Prior to joining Cowleys, Alfie worked for a wholly owned pest control subsidiary of a multinational consumer and commercial services company. He wanted to find a leaner, friendlier, family-oriented pest control service where everyone knows and supports everyone else. But it was also important for him to find a company that was actively expanding, and recognized and appreciated its employee contributions. 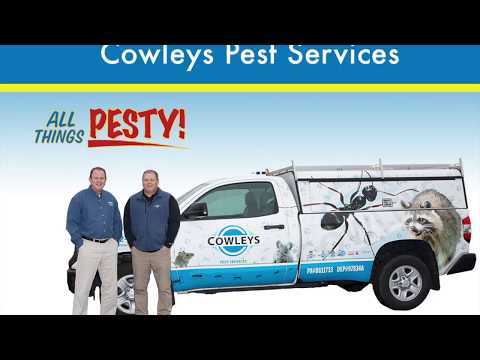 Cowleys matched everything that Alfie was looking for in a pest control service. We expect that Alfie will be servicing many of our home protection plans and commercial accounts. He is a licensed NJDEP commercial pesticide applicator, holding Core certification, the 7A certification for general and household pest control, and the 7B certification for termites & other wood destroying insects. Alfie also has an interest in first responder skills and is CPR/AED/First Aid certified, so if anyone in the office starts having chest pains, we know who to call! Alfie enjoys the diversity of pest control work and is a self-starter, always looking forward to any new challenges that each day brings. He is very personable and has a knack for helping customers deal with the stress that accompanies pest infestations, especially those involving bed bugs, roaches, and rodents. The favorite part of his job is helping customers resolve their pest issues so they can get on with their lives. When not working, Alfie enjoys spending his time with his lovely wife and three daughters, although he admits that as the sole male surrounded by four women, he sometimes feels outnumbered! He likes to stay active and make the most of his weekends. It is rare to find Alfie just lounging around the house. He enjoys a wide variety of outdoor activities including hunting, fishing, hiking, and camping. His biggest pleasure has been introducing his family to everything that the outdoors offers.